The Town of Snowflake was able to acquire a Christmas tree from the Black Mesa Forest Service Ranger District. The Town needed help getting the tree, and Steve Reidhead of Tri Star Logging came to the rescue. 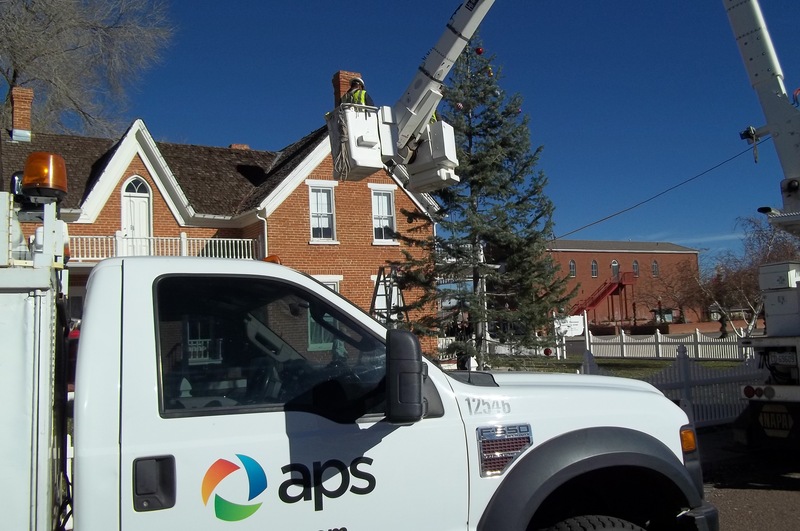 Then, the Town needed help setting and decorating the tree, and Jason Hatch and his APS crew took over. The Town of Snowflake would like to send out a big Thank You for all the help.